The Paine’s second-floor Gothic Gallery features an exhibition of masterful carved bird sculptures by Green Bay artist Gary Eigenberger. 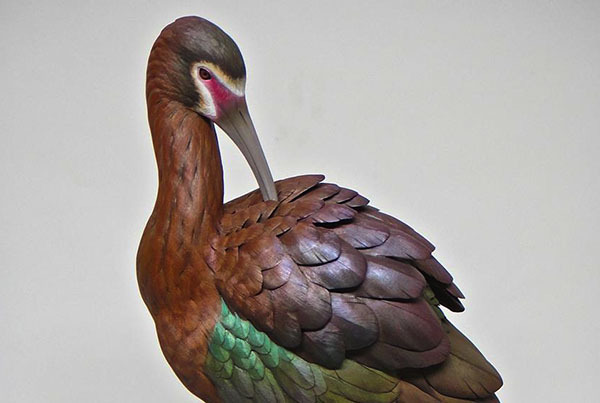 Combining vivid impressions from nature with an innate sense of design, Eigenberger creates highly realistic sculptures of birds characterized by intricate details and extraordinary craftsmanship. Over the years, he has exhibited his work worldwide and has received numerous prestigious awards and honors in wildfowl carving competitions, most notably four “Best in World” titles and, in the Masters Class, seventeen “1st Best of Show” awards. For more information, visit the artist’s website at www.garyeigenberger.com.